Turismo Civa was founded in the northern city of Piura in 1971. In its infancy, the company ran a passenger truck between Piura and Huancabamba. Due to passenger demand, the truck was replaced with a bus. Over the following decades, Civa slowly spread its coverage across much of Peru. Civa has one of the most extensive domestic networks of all the Peruvian bus companies. Regular buses run from Lima along the north coast of Peru as far as Tumbes (near the Ecuadorian border), with stops at major destinations such as Trujillo, Chiclayo, Máncora, and Piura. Civa, along with Movil Tours, is one of the best options for venturing into the northern interior. Like Movil Tours, Civa heads inland to northern cities including Chachapoyas, Moyobamba, and Tarapoto. Heading south from Lima, Civa serves all major coastal destinations as far as Tacna (near the Peru-Chile border). Passing through Arequipa, buses go on to serve a number of southern destinations including Puno, Cusco, and Puerto Maldonado. At present, Civa offers one international route to Guayaquil in Ecuador. Buses leave daily from Chiclayo, Piura, and Sullana. Excluciva: Civa’s top-end option, comprising a fleet of modern buses, each with only 32 seats (12 160° bed seats on the first level, 20 fully reclining “suite” bed seats on the second level). Extras include Wi-Fi and a choice of meals. The Excluciva fleet/brand has its own website. Superciva: A fleet of two-level Marcopolo G7 buses, each with 56 seats (12 160° bed seats on the more expensive first level, semi-cama partially reclining seats on the second level). The Superciva fleet currently operates primarily along the north coast. 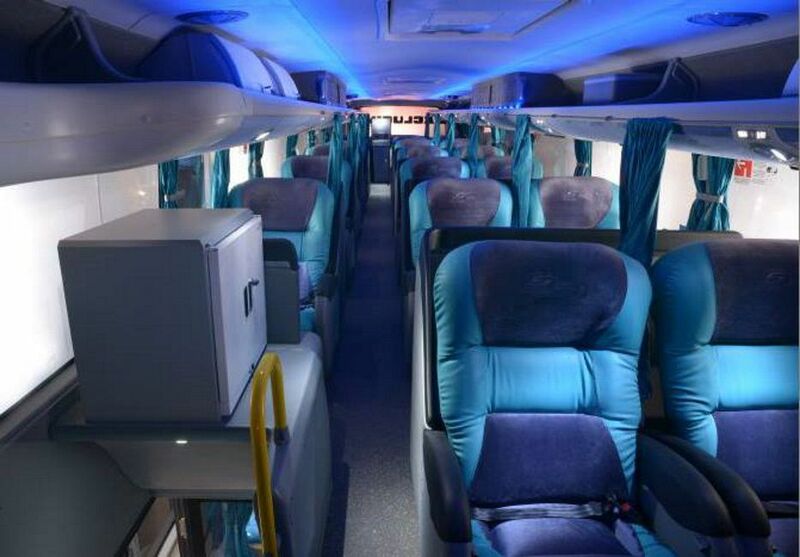 Econociva: The economy class, with 56 partially reclining seats on each bus. The Excluciva option is comparable to other top-end bus companies in Peru (such as Cruz del Sur and Ormeño). Civa’s midrange Super Churre and budget Econociva options, however, sometimes fall short of expectations. For the trip inland to northern cities such as Moyobamba and Tarapoto, for example, Movil Tours remains a better option.